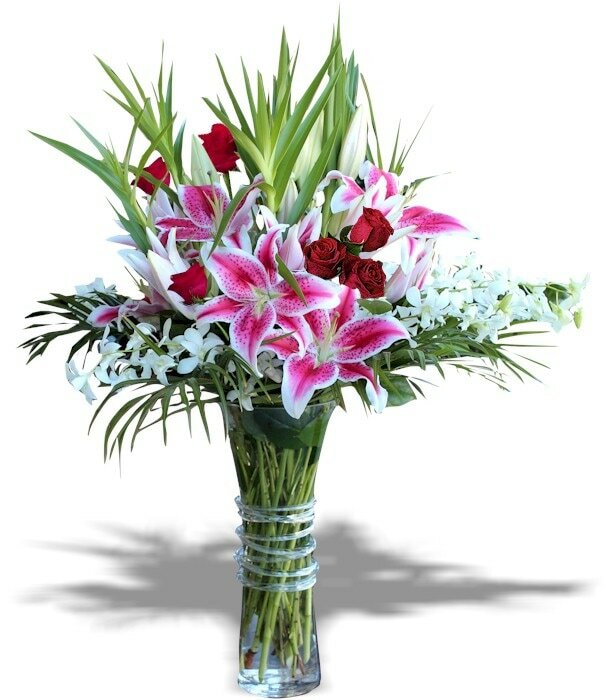 Star Gejzer lilies, white dendrobium orchids and red roses arranged with assorted greenery in tall cylinder shape vase. Very sophisticated and elegant set to please someone's day. The photo represent an overall theme or look and include a one-of-a-kind vase which cannot be exactly replicated. Although the actual bouquet will match it temperament. Occasionally, substitutions of flowers or containers happen due to availability.